Choose one of the 2 escape rooms available in and around Gurgaon! Escape rooms are perfect for any occasion: a night out with friends, a date, a birthday celebration or a team-building activity. Search for clues, solve puzzles and work together to uncover the mystery – it’s time you escaped the room! You are a member of the Special Task Force and have been selected for this operation to diffuse the bomb. Will you be able to take on the challenge, break the code and save DEADLY METRO in this race against time. Remember the CLOCK IS TICKING!! 60.. 59..
You are one of the treasure hunters looking to capture the masterpiece, but you only have an hour to unravel the mystery of this magical world. EXPLORE.. ESCAPE.. Make your mark in history!! Good for one time treasure hunt event. 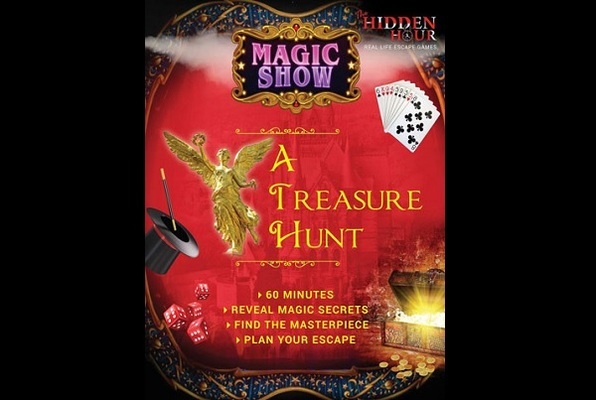 We, a team of 6, went to magic show treasure hunt and found that 1 hour to be super fun hour. Amazing escape room in Gurgaon! I got to know about this place from TripAdvisor, and it was an hidden gem! 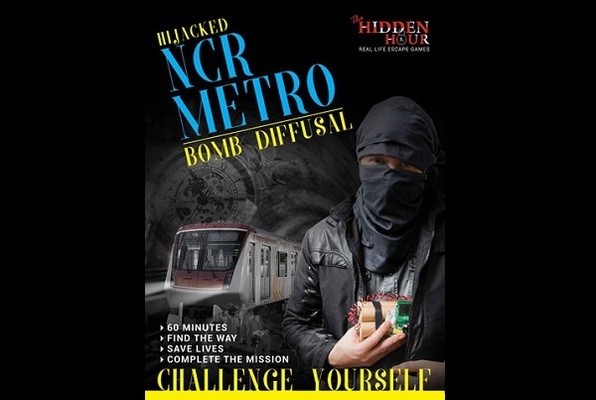 We played HIjacked NCR Metro game.. And it was like diffusing the bomb in actual metro.. Super engaging, adventurous, thrilling and full of mystery.. Didn't know how 60 minutes passed by. Though we couldn't complete our mission , but it was super fun! One of the best place to visit in Delhi / Gurgaon. Would surely visit again for other game.. Treasure one.. Looks equally exciting! Escape rooms are taking India by storm! The goal of the game is to find a way out of a locked room within the given time limit. Work as a team to solve logical puzzles, uncover clues, and follow the storyline to unravel the mystery. Each riddle brings you one step closer to the ultimate escape! Escape room games are great for a night out with friends, a date, a birthday celebration or a team-building activity in India.